North America's oldest continually published periodical, the United Church Observer, is relaunching with a new name and a new outlook, one designed to influence a broader audience with an emphasis on social justice, ethics and spirituality. Founded in 1829 as the Christian Guardian; became the Observer in 1939. Now it is rebranding as Broadview. It will be available to a wider audience, both distributed as subscriptions to church members and by single copies through various book grocery and drugstore chains across Canada. Its new tagline is "spirituality, justice and ethical living". 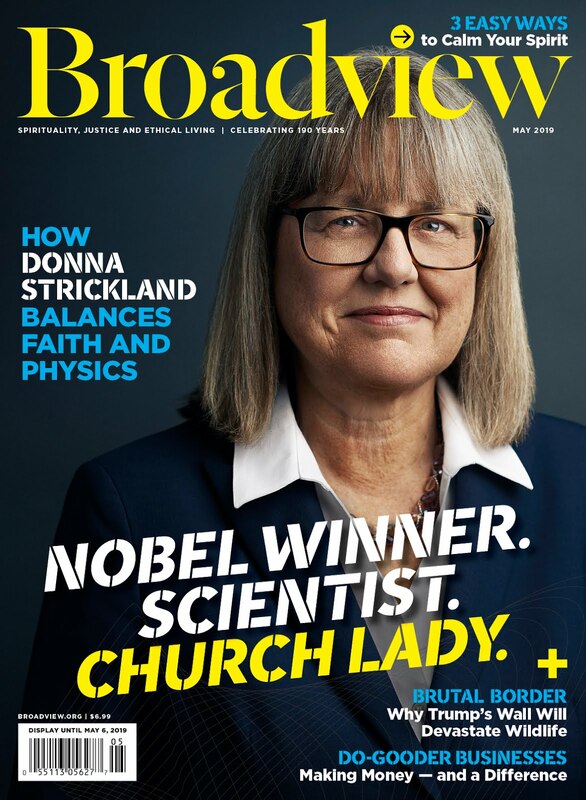 The relaunch was provoked by declining subscriptions and the recent closure of other denominational publications such as the Presbyterian Record, which closed last year. "We pretty much knew what would happen if we did nothing," says editor Jocelyn Bell, adding their business plan projects sustainability within three years. "It’s a matter of trying to unlock the potential of what we’re doing here and getting it out to a wider audience," said editor Jocelyn Bell in an interview with the Winnipeg Free Press. The new name reflects open-mindedness and inclusivity, while maintaining its identity as a left-leaning Christian publication. "We felt (the new name) would counteract the idea that religion could be closed and dogmatic." The 29,000 current Observer subscribers will continue to receive the national edition.The publication hopes to appeal not only to current church members, but to a broader "spiritual-but-not -religious" audience. "We’re going after people who are progressive Christian and share those core values with us," says Bell. The magazine has operated independently of the United Church since 1986. It will now be published 10 times a year instead of 11, but with 16 more pages per issue. The cost for a single issue is $6.99; a year's subscription, $30.